Omar Musa is a rapper and poet from Queanbeyan, NSW, Australia in 1984 and is of Malaysian-Australian heritage. He has lived in London and California and spends most of his time on the road, performing and writing. He has won numerous awards for poetry and music, including the Australian Poetry Slam in 2008 and the British Council’s Realise Your Dream award in 2007. While living in London in 2008, he recorded with MOBO award winning British rapper Akala. He has also run creative workshops in Aboriginal communities in remote Australian towns. His first hip-hop record, The Massive EP, recorded in Seattle, USA with veteran rock producer Geoff Stanfield(Sun Kil Moon, Black Lab), was released in 2009 to critical acclaim. He was a featured guest on the Triple J Hip Hop Show with Koolism’s Hau Latukefu. He has also been a featured guest at the Ubud Writers and Readers Festival in Bali, Singapore Writers Festival, Byron Bay Writers Festival and the Sydney Writers Festival, as well as touring in Indonesia, around Australia and as support for Gil Scott-Heron in Germany. He also published his first book of poetry, The Clocks, in 2009, and worked as an actor for the Bell Shakespeare Company in Sydney. 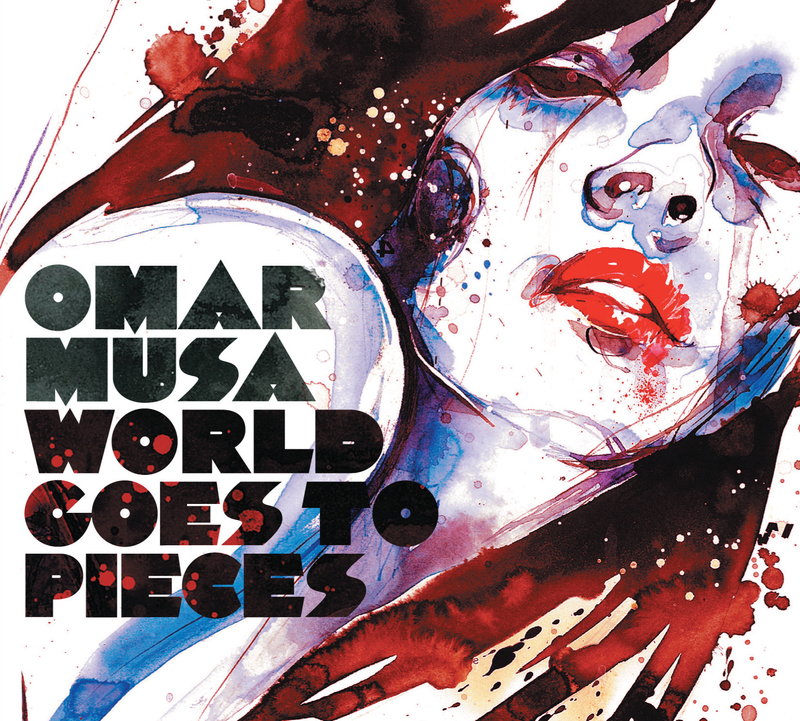 2010 will see Omar Musa drop his debut album World Goes to Pieces and believes it sets a new standard in poetry and genre-bending in Australian hip-hop. Produced entirely in Seattle, USA, with rock veteran Geoff Stanfield, it is jam packed with chunky beats, thoughtful lyrics and outright weirdness. From the wild, industrial opening track Nomad to the luscious ode to summer and love Pura Vida (The One), the Malaysian-Australian emcee brings a poetic flair to World Goes to Pieces. He bears down on wide ranging subjects such as Aboriginal poverty on What We See, his hometown on Raise Up, his relationship with his father on Sunshine and one night stands and “black-lit dreams” on the space age Neon Address. An ambitious representation of a young man caught between activism and partying, love and depression, Musa says “I treated this album as if it was my last, so everything had to count.” Stanfield and Musa called in help from Grammy award winning keys player Dave LeBolt (Paul McCartney, David Bowie), French jazz pianist Pierre Savoye, as well as Bay Area rappers Young Murph and Mighty Joe. The artwork, an original painting by Vancouver’s Ben Tour, is a testament to this perfectionist approach. World Goes to Pieces will be released online for purchase and free download on tomorrow here.